Manhattan, KS – August 29, 2017 – Flint Hills Heart Vascular and Vein Clinic has achieved accreditation by the Accreditation Association for Ambulatory Health Care (AAAHC). Accreditation distinguishes this outpatient facility from many others by providing the highest quality care to its patients as determined by an independent, external process of evaluation. Status as an accredited organization means Flint Hills Heart Vascular and Vein Clinic has met nationally recognized standards for the provision of quality health care set by AAAHC. More than 6,000 ambulatory health care organizations across the United States are accredited by AAAHC. Not all outpatient health care organizations seek accreditation; not all that undergo the rigorous on-site survey process are granted accreditation. 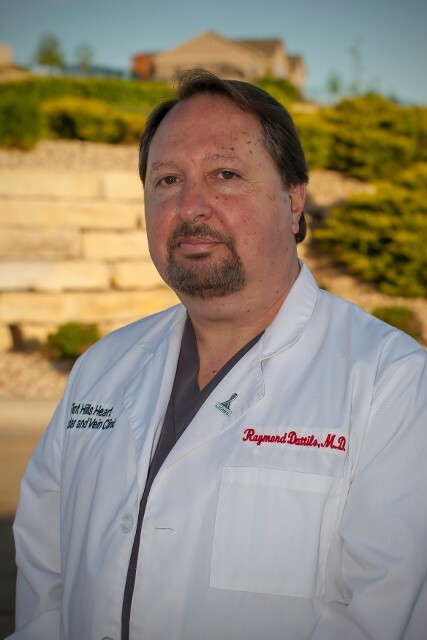 “We believe our patients deserve the best,” stated Dr. Raymond Dattilo of Flint Hills Heart Vascular and Vein Clinic. “When you see our certificate of accreditation, you will know that AAAHC, an independent, not-for-profit organization, has closely examined our facility and procedures. It means we as an organization care enough about our patients to strive for the highest level of care possible.” Outpatient health care organizations seeking accreditation by AAAHC undergo an extensive self-assessment and on-site survey by AAAHC expert surveyors – physicians, nurses, and administrators who are actively involved in health care. The survey is consultative and educational, presenting best practices to help an organization improve its care and services. “Going through the process challenged us to find better ways to serve our patients, and it is a constant reminder that our responsibility is to strive to continuously improve the quality of care we provide,” said Dr. Dattilo. Flint Hills Heart, Vascular and Vein Clinic based in Manhattan, KS opened in October 2013. We specialize in providing you with an integrated approach to diagnosis and treatment of a variety of arterial and venous disorders along with the healing of wounds associated with these diseases. Our unique clinic is dedicated to amputation prevention and allowing you to achieve the maximal functional status possible. Each person is different and our customized approach, tailored to individual needs, allows us to create achievable goals that are based on your lifestyle and physicality. At Flint Hills Heart, Vascular and Vein Clinic we use state-of-the-art diagnostic and interventional tools to diagnose and treat peripheral arterial disease (PAD), leg swelling and discomfort from chronic venous disease, and leg and foot wounds that are often associated with these problems. Many of our patients are diabetics as they are at greatest risk of limb loss. Our advanced wound clinic has the only hyperbaric oxygen chamber in the region and it is a valuable tool in helping to heal chronic wounds. The Accreditation Association for Ambulatory Health Care, founded in 1979, is the leader in health care accreditation with more than 6,000 organizations accredited nationwide. AAAHC accredits a variety of organizations including, ambulatory surgery centers, office-based surgery centers, endoscopy centers, student health centers, military health care clinics, and large medical and dental practices. AAAHC serve as an advocate for the provision of high-quality health care through the development of nationally recognized standards and through its survey and accreditation programs. AAAHC accreditation is recognized as a symbol of quality by third-party payers, medical organizations, liability insurance companies, state and federal agencies and the public. Go to, or copy and paste, these links to read more about Dr. Dattilo's clinic. Home | About Us | Pictures | Services | Contact Us | Location | What is PAD?